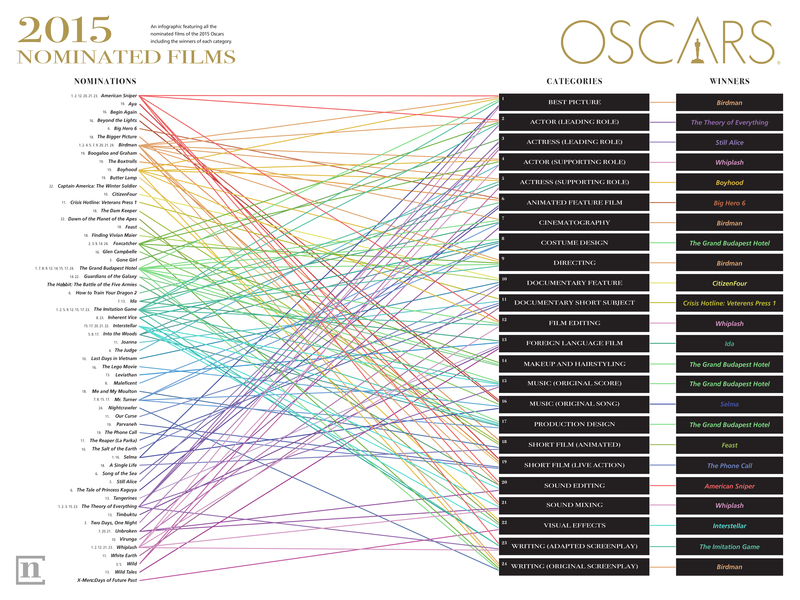 Here is the final edition to my Oscars infographic, completed with all the nominations, categories, and winners! It is, I think, the only awards show I actually want to watch throughout the whole year. 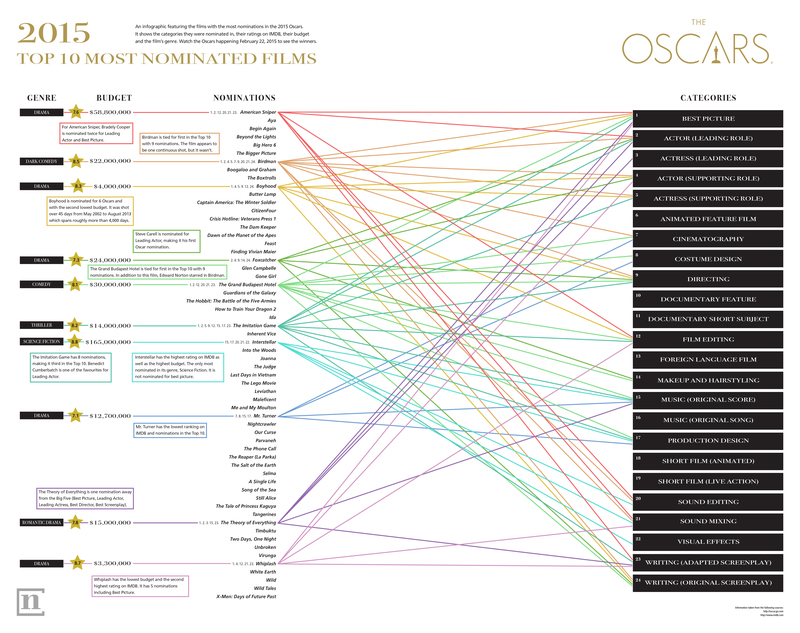 So, to prepare for the show happening February 22nd, I decided to create my own infographic showing the Top 10 most nominated films in the Oscars this year.